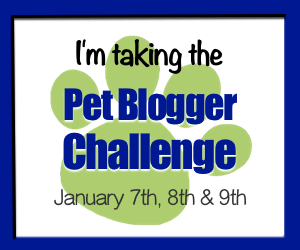 Each year our friend Amy at GoPetFriendly.com invites Pet Bloggers to unite and share. What a great way to connect with some fabulous bloggers with great info. See the links at the bottom and be sure to read a few. When did you start your blog and, for anyone who is just seeing it for the first time, please provide a description of your site. Would you say your blog focuses more on sharing stories with your readers, or providing a resource for your audience? 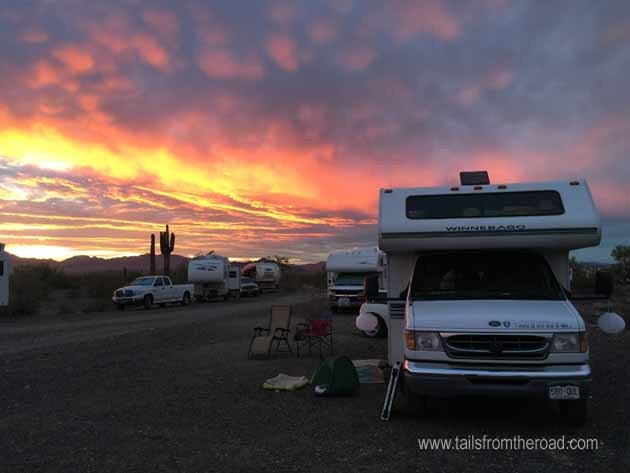 Tails from the Road started in the summer of 2014 to educate & help those traveling with dogs when camping and RVing. 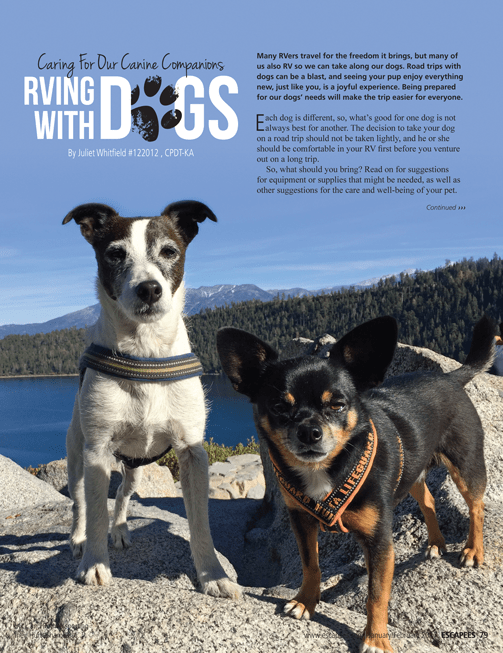 The blog provides a mix of some stories, but more resources for having the best experience when RVing with your dogs. As a Certified Professional Dog Trainer, I tend to throw out tips and tricks to help people train particular behaviors. Just recently, I had a blog post morphed into a magazine article in the Escapee Magazine. 60,000 copies have been mailed to Escapee members; this is an RV club that I love! I just received my copy today, so here’s a sneak peek. Denver, CO area, during the week, there was no one in this big park. 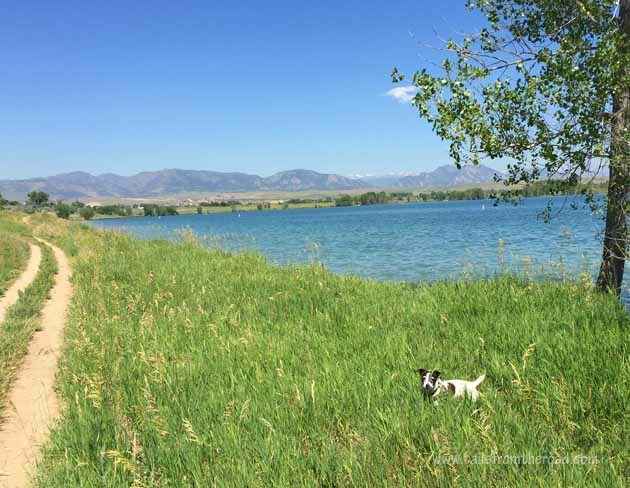 I loved sharing the information on Secret Places to Walk Your Dog. It’s my mission to get my dogs out for a good walk each day, so as a full-time traveler, I need to get creative to find these places. I like to share my methods for what makes me and my pups happy each day. Setting up a Facebook Group. Most of all, this has been so fun connecting with people, hearing their hopes and dreams and their great ideas for traveling with their dogs. While it’s a lot to manage on a daily basis, I love the interaction with people. Take your Dog Along FB group. Most recently my post on my upcoming Quartzsite Dog Rally has been the most viewed. Probably because I have promoted this on other FB groups and within my own social media accounts. Most people are seeking information on how to get started RVing with their pets and gaining the knowledge and confidence is what they are striving for. 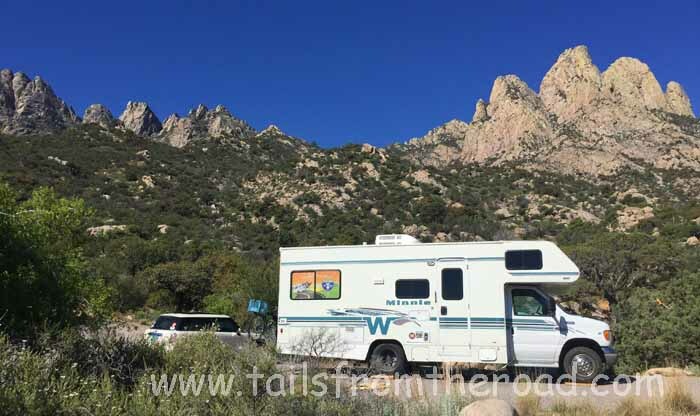 I get so much inspiration from Amy and her boys Ty & Buster of Go Pet Friendly because they are full-time RVers too and they have been on the road for many years more than I. So I look up to these guys as the trend setters. The trip they are taking this year is just so amazing and I’m so excited for them. Also, Amy is just so giving and sharing with her information like setting up this blog hop. So Thanks Amy Burkert! I treat and feed my dogs from a very holistic approach. I don’t talk about this in my blog because I am not an expert on the subject. I do feel I have enough knowledge for my dogs as I study the topic of holistic health and raw & whole food feeding. I’m very passionate about this topic and hope to incorporate some of this information when I feel comfortable enough sharing. I have an accountability partner and it’s been so helpful for my planning and getting things done. I also recently read The Miracle Morning and have incorporated a new morning ritual into my day that I believe will be life-changing. There’s just so much to do as a solopreneur so I am setting a timer for each task and staying focused. Also, I just listened to Michael Hyatt’s book Platform, while it’s a bit dated (2011); I think there are many good nuggets for bloggers in this book. I would like to be consistent with my blog posts and be informative to my readers. My goal is to be myself when writing but also provide helpful training and traveling tips to readers. I’m still working on monetizing my site and adding affiliate partnerships to my dog adventure travel club, Take Your Dog Along. I feel a bit overwhelmed by it all and am interested in trying 1 or 2 things that might benefit me and my readers. As always I’m thrilled you were here! Congratulations on getting your blog post into the Escapee Magazine! 60K copies is awesome! I’m kind of working with an accountability partner, but I need to do better about holding up my side of the bargain. This is a good reminder to get us back on our monthly calls. The only real things I’ve done on my blog for monetization is Adsense, Amazon Affiliates, and Sponsored posts. Good luck in 2017! Thanks Colby, sure appreciate the kind words and great tips. I am stopping by for the first time and love your site. Congrats on getting your blog post into Escapee Magazine! I agree about having an accountability partner. I’m fortunate to be part of a blogging accountability group and it makes a huge difference! In terms of monetization, I have done some sponsored posts and guest posts on other sites, but that’s about it. Thanks for the tips Daily Pip! Sure appreciate your visit. You are amazing Juliet! I am so inspired by who you are and your manifesting and growing your dream day by day! Roll on sista!! Thanks Peg, I’m lucky to have such a sweet reader as you! Thank you so much for joining the Challenge, and for your kind words, Juliet. I’m so proud of you for getting published in the Escapees Magazine – that’s fantastic! I so love that you’re out there on the road with your dogs, and my only wish is that we had the opportunity to meet up more often. Trying to do it all really does become overwhelming. Make sure that you’re taking time for yourself, too. And my advice is to leverage Pinterest. If you think about as a visual search engine, and start creating graphics to promote your posts there, I think you’ll see quick results. All the best to you in 2017. Safe travels, and waggin’ trails! Thanks Amy, sure appreciate you stopping by and the sweet comments. Hope to see you this year! I cannot tell you how excited I am to read this post and was wondering if you would be interested in writing a guest post for Keep the Tail Wagging about feeding a raw/whole food diet to dogs on the road? My readers would LOVE this and so would I!!! You can reach me on social media or at kimberlymgauthier@gmail.com. Thanks so much for stopping by Kimberly! Yes, will email you. Thanks Jessica! I sure hope I can get myself on a schedule! Congrats on your Escapee Magazine placement! That’s awesome – I love reading your posts and you have had some awesome adventures! I think your blog is so unique and it’s inspiring to see your guys in so many cool locations across the country. I also loved watching the threads in your FB group last summer. I hope our paths cross at some point. I need a morning ritual for sure so I’m going to check out that book! Christy, you are so sweet. I know we will meet up some day! Thanks for stopping by.